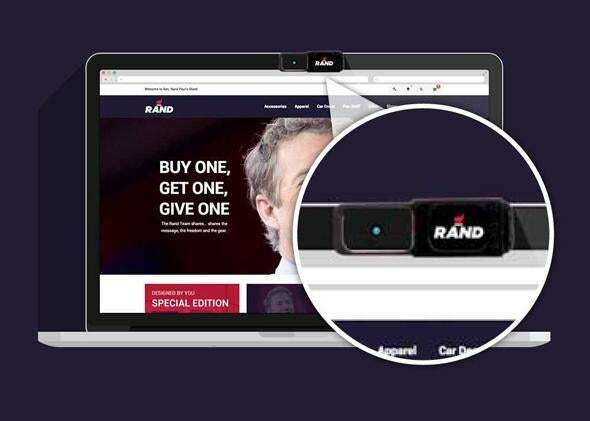 Rand Paul's website sells branded $15 webcam covers. It’s a good point from the Rand campaign. Webcams are known to be easily hackable, providing eyes and ears on your life to whomever infiltrates them. Be that as it may, a $15 “NSA Spy Cam Blocker” is extremely silly. This is mainly because alternative webcam covers, such as tape and bandaids, cost next to nothing. But even if you want to get something fancy, hilariously overpriced stickers are already available for $5. Or get a sticker from a toddler you know for free. The Rand Paul store classifies the “NSA Spy Cam Blocker” under its “Fun Stuff” category, which could be viewed as a productive effort to recast cybersecurity in a more positive light. But given that this product just shouldn’t exist at all, it doesn’t really feel like a win.